SIOUX CENTER – Bert Van Batavia loves riding open country roads or trails on his bicycle. The 72-year-old man who farms between Hull and Boyden logs 50-60 miles in a typical week during the bicycling season. almost every year of the six-year event. He said you can see – and smell – so much more from a bicycle. He loves seeing the straight rows of corn, even the crooked ones. He enjoys the view of farm buildings and the scenery of rivers and rolling hills. He doesn’t even mind the wafting smell of a hog barn or cattleyard every once in awhile – this is Iowa, after all. And it’s a perfect time for him to reflect. He also rides bicycle for the cardiovascular health benefit. Van Batavia got started into bicycling about 13 years ago through the encouragement of a friend, and they often rode together until the friend moved away a few years ago. per week on his bicycle during the riding season. Wheels Bicycle Ride (WOW6) on Saturday, June 4. He now goes out to ride about three times per week for 15-20 miles per trip – depending on where he goes. A couple of his favorite routes are riding the blacktop between Highway 18 and Orange City and carving out a 15-mile trek on Sioux Center Trail sections. Van Batavia, who rides his trusty Giant bicycle that he purchased several years ago at Brothers Bicycle Shop in Sioux Center, has ridden The Des Moines Register’s Annual Great Bicycle Ride Across Iowa (RAGBRAI) partway three times. 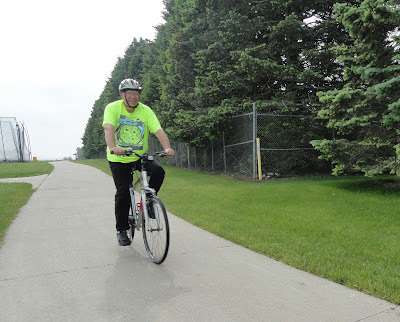 He also has done fundraising bicycle rides in the Iowa Great Lakes area a few times. But he particularly enjoys Promise Community Health Center’s annual Wellness on Wheels Bicycle Ride and plans to ride WOW6 on Saturday, June 4. He will pedal the 30-mile route, which will start at Children’s Park in Sioux Center and will travel the Sioux County countryside to Ireton and back. Four routes, ranging from 6 to 60 miles, are offered for the event. He also appreciates supporting Promise by participating in the ride. Promise Community Health Center, headquartered in Sioux Center, is the only Federally Qualified Health Center in the far northwest corner of Iowa. 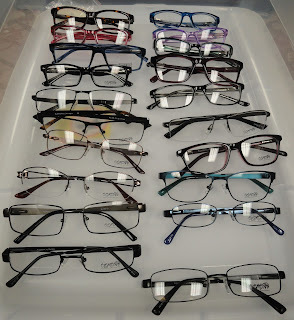 Promise provides medical, prenatal, dental, vision and behavioral health services. To learn more, visit www.promisechc.org and watch this video. To read more Promise news, visit promisechcnews.blogspot.com. 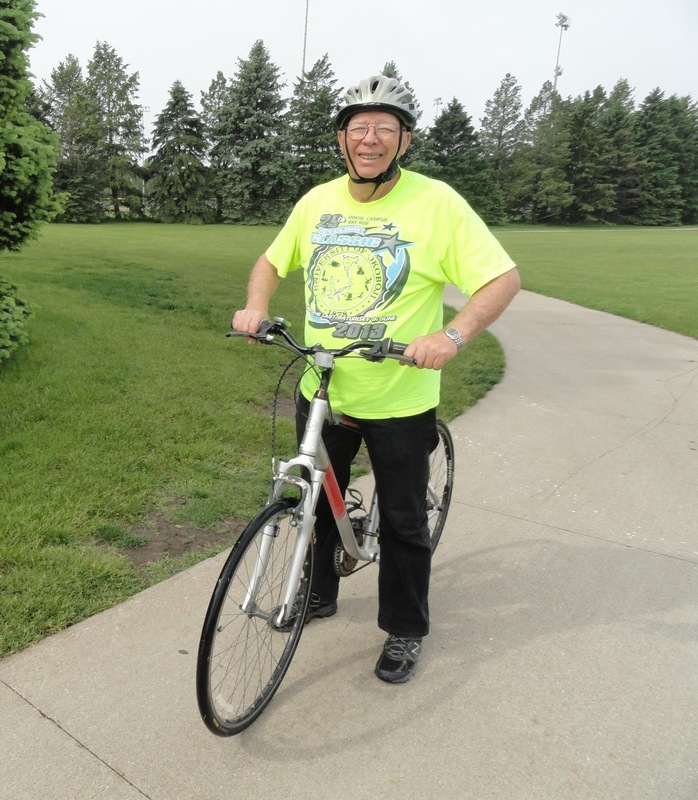 The sixth annual Wellness on Wheels Bicycle Ride (WOW6) in northwest Iowa will be Saturday, June 4, during the Sioux Center Summer Celebration festival and the community’s 125th anniversary celebration. Promise Community Health Center of Sioux Center puts on the event every year with the help of many great business sponsors. This year’s event will feature four routes for various riding levels and interests that will start at Children’s Park in Sioux Center and travel through beautiful Sioux County: a 60-mile paved route that will pass through Hawarden and Ireton, a 30-mile paved route to Ireton and back, a 6-mile Fun Ride on the Sioux Center Trail to Sandy Hollow Recreation Area and back, and an all-new 30-mile gravel route that will make a big loop intersecting with Ireton. The 60-mile ride starts at 7 a.m., the 30-mile routes at 8 a.m. and the 6-mile Fun Ride at 9 a.m. – with registration starting 30 minutes before each ride. WOW6 will include a complimentary polyester, moisture-wicking T-shirt; a Casey’s breakfast pizza meal; and prize giveaways. Registrations will be taken up until the start of the event, including walk-ups, but advance registrations are encouraged. To register online, visit www.AllSportCentral.com. Click here for a paper registration form. For more information, visit www.promisechc.org or call 712-722-1700. To read a preview story about the event, click here. SIOUX CENTER – Serving on the Promise Community Health Center Board of Directors wasn’t even on Lynn Rietema’s radar when she was approached by executive director Nancy Dykstra earlier this year about considering the role. In fact, when she saw that call come in from Promise, she thought it was a outreach staff member calling to ask if she could provide a patient a ride to the health center – as she often has done as a volunteer. But she decided to accept the invitation to serve in a new capacity as a board member. Rietema’s initial connection with Promise occurred in fall 2013 when she became the legal guardian of Jose Torres when he was in high school. He was a patient at Promise, so she brought him to appointments there. And her volunteer involvement with Promise has grown since then. Rietema – who also serves on the Center for Assistance, Service and Advocacy (CASA) of Sioux County board – has given patients rides to appointments at Promise and has brought community newcomers who need medical, dental or other needs met into the health center. She has worked closely with the Promise staff in getting appointments scheduled and helping to get people signed up for insurance coverage. Q: What do you hope you can bring to your role as a board member? A: I will be the first to tell you that I do not have much experience in the role as a board member. Quite honestly, it scares me and makes me nervous. I feel I have so much to learn. I hope that my passion and my heart for people, especially those who may not look like me or feel as though they don’t belong in the community will suffice and overcome any and all shortcomings I may have in the area of knowledge of fiscal reports or quality assurance because I, too, have felt as if I didn’t belong and have somewhat of a sense what that feels like. My heart naturally reaches out to the stranger in the hopes of making them feel welcome, and I hope I can bring that to the board. Q: How might your background help you in this role? A: My background lies in health care when I practiced physical therapy; therefore, I have a basic knowledge of the health-care system. Although much has changed and evolved since my days in a clinic setting, the care and treatment of patients and people as a whole and the area of service to the community and surrounding area in which we live, however, should never change. Q: Why do you think Promise is important to the greater community and region? A: I think Promise is vitally important to the community and region, most importantly, because of their service to a growing community in need of health care that is affordable and attainable to each and every person who walks through their door. I have personally sat with patients, new and existing, and have been in awe with the respect and time the staff at Promise has given to anyone who has sat across from them trying to meet their needs however they can. To witness that, as a stranger coming through the door, not knowing anyone there or even where to begin or what questions to ask, literally gave me hope and made me realize that Promise really does care for the needs of others. A: I don’t know what lies ahead for me on this journey, but I am proud to tell people I am on the board of Promise, and I will work hard at whatever is put in front of me. Advocacy is my passion and where my heart lies, but if I must learn fiscal reports, I will. Thank you for reaching out to me to serve on the board. I’m happy I walked through this door. Lynn Rietema and her husband, Bob, live in Sioux Center. Their children are Michael and Jamie Horowitz of Winston-Salem, NC; Caleb and Jill Graff of Washington, D.C.; Jose Torres, who is in college; and John Rietema, who is graduating from Sioux Center High School. They also have two grandchildren, Cora and Cecelia Horowitz. Rietema loves being active by running, weightlifting and participating in Crossfit, and she enjoys reading and spending days in the summer on a boat in the Iowa Great Lakes. She grew up in Kanawha, IA. 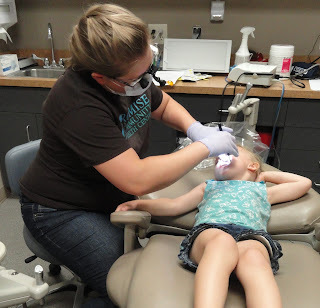 SIOUX CENTER – Promise Community Health Center of Sioux Center will get a new dental chair and associated equipment, thanks to a Sioux County Community Foundation grant. The foundation awarded the health center a $10,000 grant during an awards ceremony today (Monday, May 16) in Orange City. The grant will go toward the cost of purchasing a dental chair system for one of Promise’s three oral health exam rooms. The grant will fund about 55 percent of the cost. Promise will provide the remaining matching funds. Promise accepts all patients, but in particular, it welcomes Medicaid patients who live throughout northwest Iowa. Promise also offers patients a sliding-fee scale, which greatly reduces dental costs for patients who don’t have health insurance coverage or have high deductibles. (Monday, May 16) in Orange City. “Promise fills an important regional niche by helping to ensure that families and children receive the dental care that they need,” Vander Waal said. Promise purchased refurbished dental chairs for its three dental exam rooms when it launched its oral health services in January 2011. They have served Promise well but are nearing the end of their useful lifespan. The chair that is in the worst condition and has had the most repairs in the last couple of years will be replaced with the help of the grant. In addition to a new dental chair, a dental delivery unit, instrumentation and a mounted LED light will be purchased as necessary accessories for a complete dental system. The new equipment will ensure that patients receive the best possible care. 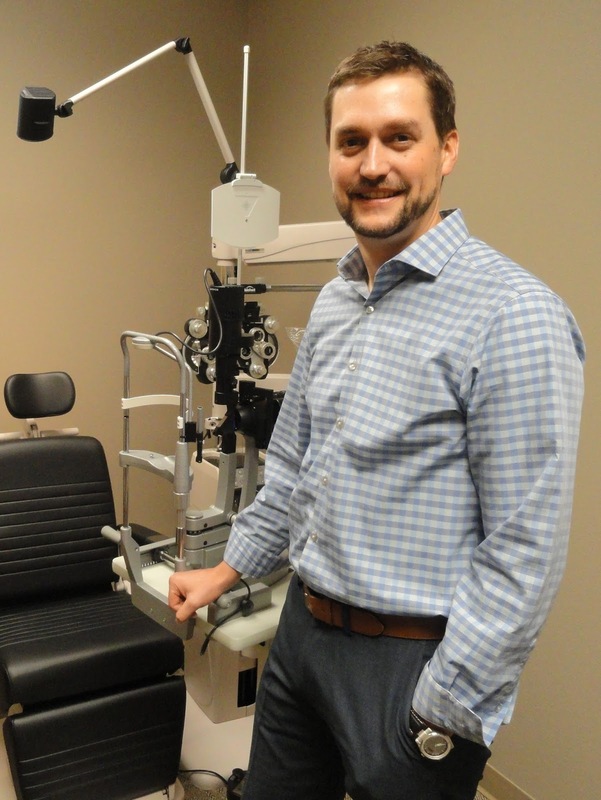 “To properly care for patients, Promise needs high-quality dental equipment that is in good working condition,” Vander Waal said. 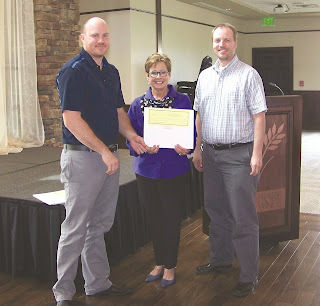 The Sioux County Community Foundation awarded $101,060 in grants to various entities during the awards ceremony. Hygienist Rebecca Hooyer, along with Dr. 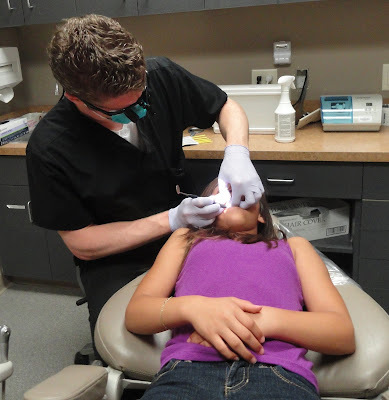 Promise Community Health Center’s dental program is accepting all new patients. In particular, Promise welcomes newly enrolled Medicaid patients. Most dental offices in northwest Iowa are unable to take on new Medicaid patients. Promise’s outreach team also will help people enroll for Medicaid coverage if they qualify. People who do not have insurance or have high deductibles also might qualify for Promise’s sliding-fee scale, which greatly reduces the cost for dental care for families who have incomes up to 200 percent of the federal poverty level. The minimum payment for a dental visit is $40 for patients in families that are at or below the poverty level. Promise’s outreach team can help people determine if they qualify. Any child under the age of 18 who shows up at Promise with a dental emergency will be seen that same day – even if they do not have an appointment. Walk-up appointments also are available every morning and afternoon for other patients. Promise’s dental hours are: 1-6 p.m. Mondays, 9 a.m.-6 p.m. Tuesdays-Thursdays and 9 a.m.-5 p.m. Fridays. For more information about Promise’s dental services, call 712-722-1700. SIOUX CENTER – Nurses positively impact the lives of patients every day with care and compassion. That's why the National Nurses Week theme for 2016 is so fitting: "Culture of Safety – It Starts With You." National Nurses Week is celebrated May 6-12 every year, ending with Florence Nightingale's birthday. 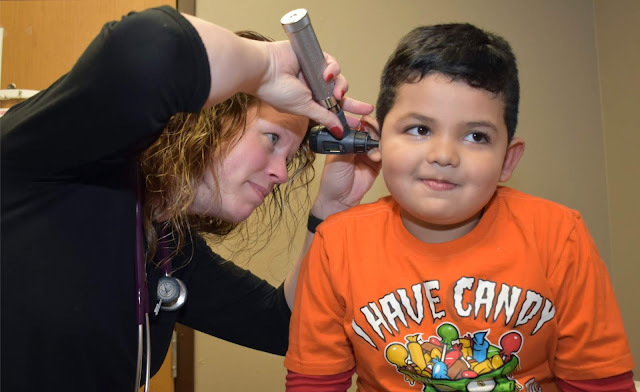 Personnel related to the profession at Promise Community Health Center in Sioux Center include registered nurses, advanced registered nurse practitioners, certified nurse midwives and medical assistants. include (front, from left) Ruth Hernandez, Sandra Rodriguez, Beth Strub; (middle) Pam Hulstein, Kristen Schuler, Kari Ney, Nancy Dykstra, Alex Van Beek, Karen Sanchez; (back) Erica Robertson, Vicki Schrock, Tana Kass, Emily Tuschen and Kim Davelaar. Not pictured are Belinda Lassen and Daisy Gasca. Erica Robertson, RN: "The most rewarding aspect of this job is interacting with patients, ensuring they know someone cares about their well-being and then helping them reach their goals/potential health." Beth Strub, ARNP: "I feel most rewarded when I feel that what we do here truly has made someone else’s life better – that we helped them in some way." Vicki Schrock, RN, clinic manager: "I enjoy educating patients so that health can be achieved. When a patient understands their new medication, new diagnosis or new life circumstance, I get excited." Robertson: "Love that we don’t just say we have a mission – we live that mission in helping others and do so as a team." Strub: "I feel that our mission does in fact help others! I truly think we have the best staff to work with and are truly a team making a difference for our clients every day." Promise Community Health Center, headquartered in Sioux Center, is the only Federally Qualified Health Center in the far northwest corner of Iowa. 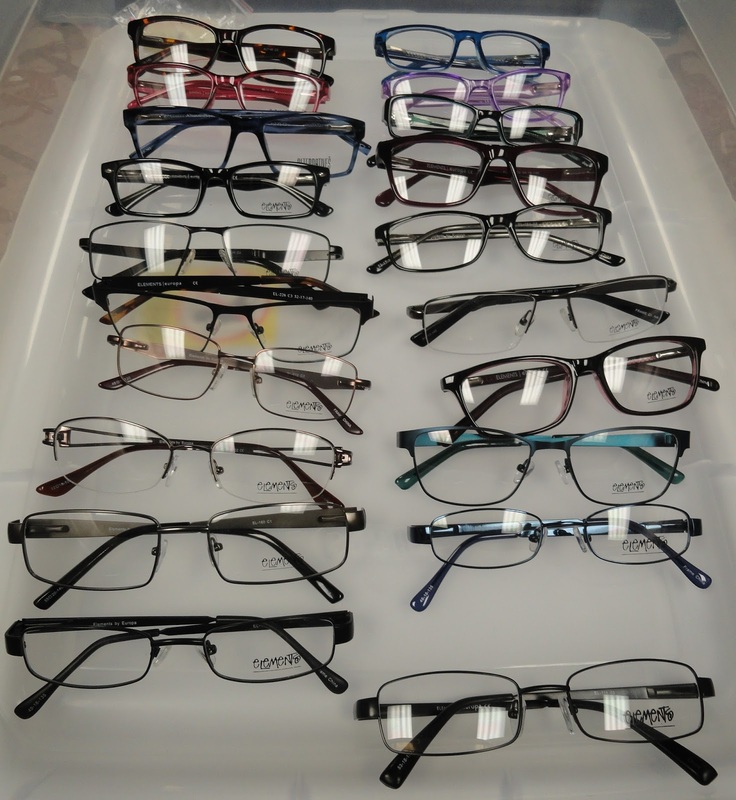 Promise provides medical, prenatal, dental, vision and behavioral health services. To learn more, visit www.promisechc.org or watch this video.